Many know LG has developed a rollable technology, which it has applied to the world’s first commercial rollable TV. It now appears the company is working to implement the same technology for a rollable smartphone as well. LG filed as many as 10 trademark applications with the European Union Intellectual Property Office (EUIPO) on Wednesday. 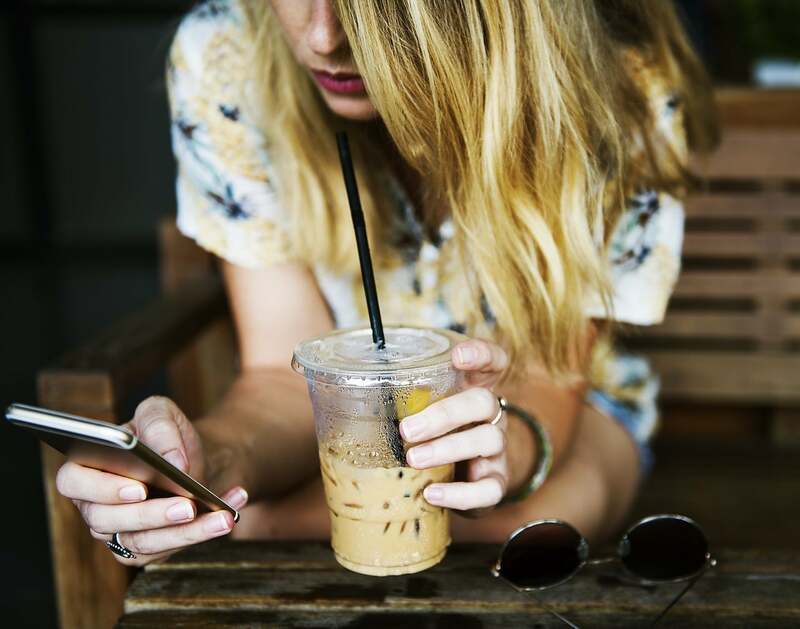 According to LetsGoDigital, which first spotted the applications, all were related to a rollable device. LG’s trademark applications listed the following names: Double Roll, Dual Roll, E Roll, Roll, Bi-Roll, R Canvas, Roll Canvas, Signature R, R Screen and Rotolo. Other than these names, the trademark applications reveal no further details. The applications don’t even specify if these names are for LG’s rollable smartphone. However, all 10 trademarks include words like “speakers for smartphones;” “cameras for smartphones;” “cell phone cases;” “displays for smartphones;” “smartphones;” and “batteries for mobile telecommunications equipment.” This seems to suggest LG’s rollable smartphone might be in development. These trademark applications were filed by Mitscherlich, a patent and law firm. The same law firm filed trademarks on LG’s behalf for Bendi, Flex, Foldi and Duplex. This is not the first time we are hearing about LG’s rollable smartphone. Earlier this year, LG CTO IP Park confirmed in an interview that the company was experimenting with rollable technology for a phone. Prior to this, one LG patent was discovered related to a rollable smartphone. 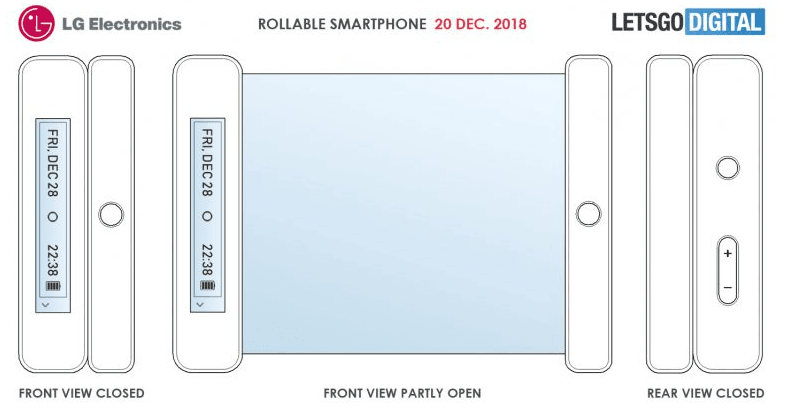 In December, the World Intellectual Property Office (WIPO) published an LG patent for a “rollable mobile terminal.” The patent showed a narrow housing on either side of the flexible display. These housings can also be used as handles to pull the screen out. LG’s rollable TV was first showcased last year, and this year at CES 2019, the Korean company made it official. LG will bring it to the market as its flagship 4K OLED TV for 2019. LG’s rollable TV, called the Signature OLED TV R, will be available for purchase some time this spring. As you would expect, LG’s rollable TV disappears completely into its base with the push of a button. It rises back up when the button is pressed again. The TV rises up and down rather quietly and takes about 10 seconds to do so. The company claims it has tested the roll-up or down 50,000 times. This means if you rolled the TV up and down eight times a day, it would function for 17 years. Moreover, the TV can be used in three ways. The first is like any normal TV. The display can also be raised up part of the way, allowing the user to access some smart functions, music and more. When the TV is fully at rest, users can enjoy audio without even turning the TV on. LG’s rollable TV boasts a 100-watt Dolby Atmos speaker, while the connectivity options are put behind the housing. The TV uses HDMI 2.1 and supports Google Assistant and Alexa. LG has also added support for Apple’s AirPlay 2 for media playback and device mirroring. LG’s TV is powered by a second-generation Alpha 9 processor. The same processor is used for the company’s flagship OLED and NanoCell TV line-up for this year. In terms of picture quality, LG says its rollable TV is on par with the best in terms of brightness, contrast and features. If you are wondering whether the rollable TV can be put upside down so that it rolls down, the answer is no. “Even if a professional were to figure out a way to hang it from the ceiling, there is no mechanism to re-orient the picture, so it would appear upside down. It’s also likely that mounting it from an 8-foot ceiling would result in the panel being too high for comfortable viewing anyway,” Director of New Product Development Tim Alessi told CNET earlier this year.